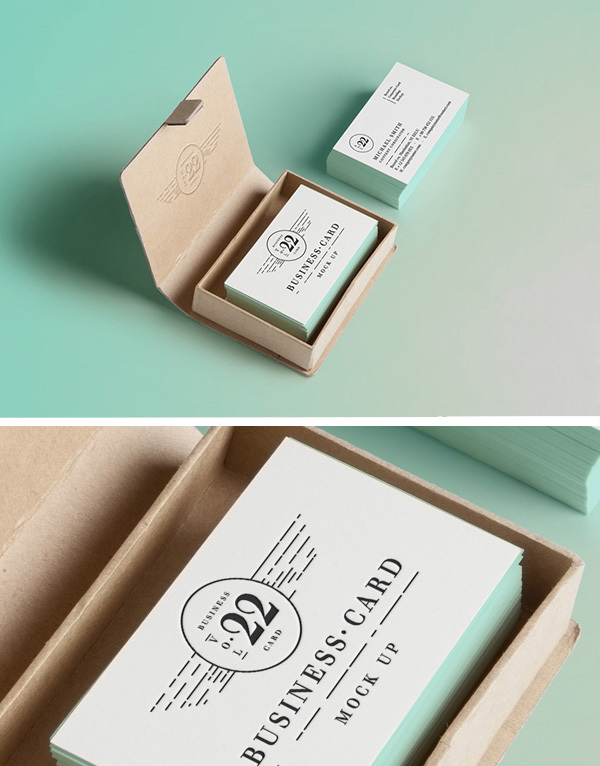 Showcase your work with this simple yet stylish business card mock-up, the light theme and the elegant cardboard box will make your design stand out. The PSD file is fully layered and includes smart objects so go ahead and have a bite! PSD freebie released by Pixeden.